Clive Williams has lived in Levin since 1958 when his parents moved up from Wellington. When he left Horowhenua College he joined his father's manufacturing engineering business with his brother in Levin, with Clive specialising in national and export sales. After a successful business career, Clive sold his business to his son in 2013 and became a Real Estate Agent in Levin, and after five years, he joined Harcourts Levin as their Branch Sales Manager in August 2018 and loves working with an innovative team. Stuart Pescini has been in the Real Estate Industry in the Horowhenua since 1986. Having lived in the area most of his life. A keen sportsman, he has played, coached and managed at representative level and still participates in marathons and triathlon. 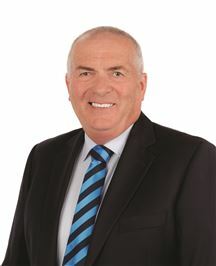 From 1991 he has been a successful salesperson and manager for Harcourts in Levin. He has built a sales force from 2 to 18 consultants who enjoy a dominant share of the Levin and Otaki market. Stuart has built up a wealth of experience and knowledge of the Horowhenua district. Residential, Rural and Lifestyle marketing are his specialty areas of expertise with the commercial property field being of high interest to him as well. He is also a skilful auctioneer. Stuart is involved in the training and coaching of Sales Consultants on the Coast, and has particular responsibility for the Levin and Otaki offices. Stuart's aim is to equip our people to deliver clients the highest level of local knowledge and quality service. Aimee has come from a rural background, and since the age of 17 has worked in the horse racing industry, riding track work from 4am in the morning. Aimee’s work ethics, honesty and doing what she says she will do, are traits that have been engrained from an early age. Aimee has also gained a Bachelors Degree in Nursing and has worked as a nurse until she found her passion for real estate. Aimee is very happy to lend a empathetic ear to help anyone, to discuss all aspects of buying or selling... finding the right path to success for all her clients. Aimee will provide a high level of professionalism and enthusiasm and will be committed to give 100 % of her time to her clients. Aimee and her partner own their own home together and have been through the process of buying themselves. Aimee’s other passion is being the owner of two beautiful Miniature Schnauzers that she also occasionally breeds from. Being new to the world of real estate, Aimee has loads of new ideas, fantastic marketing systems and enthusiasm to share with clients needing someone to give them honest down to earth service without compromising her integrity. Call Aimee today to experience first hand what selling real estate the right way, is all about. Brian and his wife Felicity settled in Levin 4 years ago and are enjoying all aspects of this vibrant provincial town. Brian draws on the last 20 years of management and project management consulting experience when looking after the needs of his customers. With 20 years of civil and structural engineering project management roles, Brian is well placed to understand the needs of a growing community. The management consulting experience ensures that Brian is comfortable explaining complex concepts in easy to understand language. Project management methods and experience brings rigor to ensure projects and tasks are delivered to time. Brian and his wife have bought or sold 20 times in 21 years and believe their quest to find the perfect location is over, with a house in central Levin. Through this discovery journey makes him well placed to advise people from both within and outside the district on what to look for, where to find advice and support based on his own experiences. Brian’s desire is to provide service that goes the extra distance to make buying and selling less stressful and by having clients and customers fully informed every step of their purchase or selling journey. Brian is honest, enthusiastic, efficient and committed to getting top results. Brian is keen to support community programmes with the latest being “Save the Capital Connection” train service. Based at Harcourts Levin, Brian is available to field your enquiry. Donna has been in Real Estate since 1994. 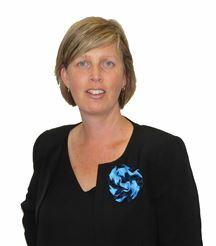 She has worked the community of Levin with the highest standards of professionalism. Her commitment is to make selling and buying homes as smooth and efficient as possible. Donna has received many awards for being an outstanding lister, marketer and seller of homes in the area, recently awarded one hundred million dollar sales pin. People have come to know and trust her to work very hard to achieve the best possible results for all clients. Listening to what customers want has given Donna a successful sales record. She has an ability to match the right people with the right property. You will find Donna professional in giving top quality service to all her clients whether they are buying or selling. American born, Donna has lived in the district for more than 30 years. John has had 17 years experience in commercial/industrial agency work in sales, leasing and property development work – practising between Kapiti Coast and Levin for 9 years and in Lower Hutt and Wellington for 8 years. In that time he has worked for Nathans Commercial, Colliers International and is currently employed by the new specialist commercial/industrial international company under the umbrella of Harcourts International Ltd called NAIHarcourts. This company has 350 offices in 55 countries employing 5,000 professionals globally including 60 branches and 130 consultants in NZ. One advantage John has with NAIHarcourts over other international real estate companies is that he is able to meet with clients and have admin support in 4 Harcourts offices between Paekakariki and Levin as well as draw on the local knowledge his colleagues can provide. He has specialised in C&I real estate sales and leases in Levin for 9 years and has extended his territory to include Kapiti Coast for the last 4 years 2010 – 2014. John is also a qualified accountant with 30 years experience in corporations and professional accounting firms. Notable Transactions Kapiti Coast/Levin •	Sale of the ex Regent Shopping Mall Oxford Street, Levin - $825,000 •	Sale of “Soapbox” property 169 Main Hwy, Otaki to Foodstuffs - $1.05M •	Sale 25ha of industrial land Tararua Road, Levin - $1.1M •	Leasing 167-169 Oxford Street, Levin to State Insurance - $47,907 + R&I •	Leasing 94 Cambridge St, Levin Resene Paints $55,000 + R&I •	Leasing 312 Oxford Street Levin Oxford Finance Ltd $98,000 + R&I •	Leasing 92 Cambridge St, Levin Healthcare NZ Ltd - $95,000 + R&I •	Sale shops15 Maclean Street, Paraparaumu - $560,000 •	Sale 92&94 Cambridge St, Levin - $1.92M •	Sale of vacant Mitre10 property for $845,000 in Parata St, Waikanae •	Sale of Kimberley Hospital, Kimberley Rd, Levin - $1.8M •	Lease of Service Station 41 Seaview Road, Paraparaumu Beach to BP Oil $50,000 + R&I, CPI reviews Testimonials •	Wayne Bishop builder, Levin. Mob: 0274 474 611 Wayne is a successful builder and developer based in Ohau, Horowhenua District. John has worked with Wayne on various projects in Levin over the last 6 years. •	Bob Little/Doug Tate, Property Managers, Horowhenua District Council, Levin. Tel 06 366 0999 Bob has known John for 17 years and has worked with him as a colleague at the Council and also on commercial property divestment programmes undertaken by the Council from time to time. •	Steve Barton, Commercial Property Investor and Developer, Levin. Mob: 021 722 407 John has acted on Steve’s behalf and his father Charley for 6 years approximately on various projects. Steve’s family are well known successful business people who have lived in Levin for many years. •	Brian Kendrick Palmerston North. Mob: 021 533 863 John was employed by Colliers International when Brian owned the Franchise for Palmerston North. Brian has known and worked with John for 9 years. Lorraine Rankin has been selling property in Levin for many years and prides herself on always delivering exemplary customer service for all her clients and customers. 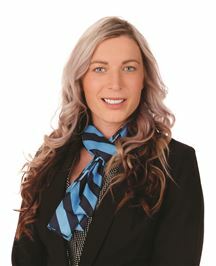 Lorraine is hardworking and conscientious and always goes that extra distance to gain a successful sale for her clients. Being born in Levin and a local resident most of her life Lorraine has a vast data base of people all wanting to sell and buy in Levin. The majority of Lorraine`s business is generated from referrals from past satisfied clients,which again reflects on providing a top professional service. 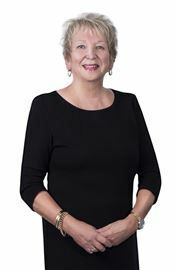 Lorraine has gained many awards and recognition over the years from the Harcourts Group for achieving outstanding results. If you chose Lorraine to market and sell your most precious asset your property, you are indeed in safe and very professional hands. Louise settled in Levin 12 years ago and enjoys all aspects of living in this go ahead provincial town with her partner and young family. After delivering good old-fashioned service with passion and commitment for the company she is now branching out into a career in real estate. Having bought, sold, owned and renovated her own homes over the years she understands the buying and selling process from a client and customer perspective. 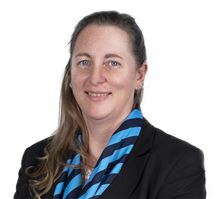 Together with a wealth of knowledge and experience from her 10 years as an administrator in Real Estate, Louise will ensure her clients have the confidence to engage her for their services. Louise has a can-do and go-ahead attitude along with her values of honesty and integrity you will not find a more reliable and friendly agent. Louise will give 100% to finding you the right property or for the Vendor getting the best possible price in a stress-free manner. Louise is passionate and professional and will ensure her clients are supported throughout the experience of buying or selling their homes. 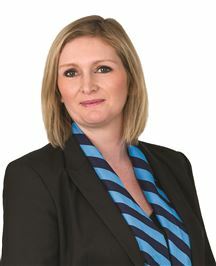 You will be in safe hands when you engage Louise to market and sell your most prized and valuable asset, your property. Over the past 24 years Raewin has worked in various customer service/sales roles in several different industries, and has always enjoyed helping people achieve results. Raewin’s experience in service industries means that the move to Real Estate was a logical career progression. Raewin takes pride in all her work, is hard working and you will find her friendly and easy going. 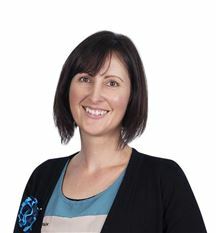 Raewin has lived in the Horowhenua for the past 12 years where she has established a family home on a lifestyle block in Foxton with her Husband Ryan and 2 children. If you or someone you know is considering buying or selling in the Horowhenua region now or in the near future, please do not hesitate to give Raewin a call. If you are thinking of moving out of the area, Raewin will be happy to help by referring you to the right people who can help you with a less hassle and stress free move. 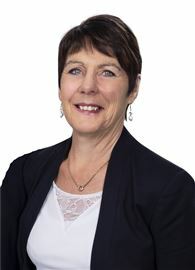 With over 30 years Real Estate experience Susanne has worked in Wellington, Waikanae and Levin. Now, as a resident of Waitarere Beach, Susanne specialises in marketing all property types at this very popular beach destination. Susanne has been the recipient of numerous awards in recognition of her commitment and achievements. Some of these include: •	New Zealand No 3 Auction/Tender lister •	New Zealand top 100 2003-2004 •	Wellington top 20 2003-2004 •	$50 million in sales Her sheer enthusiasm for Waitarere Beach has resulted in several new residential developments taking shape including on where the company had held the land for 35v years before entrusting Susanne to market 80 sections at the north end of Waitarere Beach. The result was 100% success rate. Susanne was specifically asked to market a subdivision in Kai-Iwi, Wanganui, receiving 70 registrations for the auction of 7 lots. All lots sold on the day and commanded premium prices. She is currently working on two further large developments projects. Susanne has a website, www.waitarerebeach.net.nz which is regularly updated with everything from current listings to upcoming events. It is reaching a huge audience with enquiries coming from as far abroad as Europe and the USA. At this site you can visit the webcam to see the weather conditions at the beach. Great if you live outside the area and want an update before a weekend trip. Whether buying or selling Real Estate, Susanne is committed to providing you with the very best in service and attention to detail. So for top quality service and for all things Waitarere, call Susanne now and rest assured the Real Estate decision you make will be well informed and efficient. Time for a little "Reno"
Come and finish me off!! Want to Downsize or Slow Down? Motivated vendors on the move! Love a Little Bit of Country? First Home or Rental ! House and Garden Show Stopper. Sell Now! We're on the Move! Vendors Are Out Of Here!